Prince Edward County Stats Update | Henderson Williams Realty Ltd. 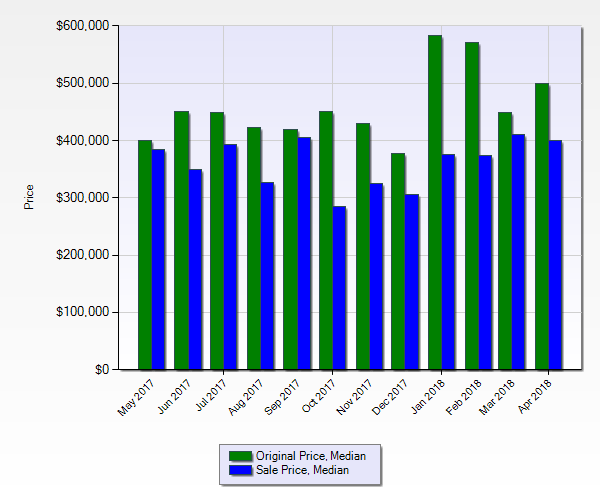 This chart outlines the original asking price of residential property in Prince Edward County from May 2017 to April 2018, and compares it to what the median sales price was. This data covers 880 listings. After the busy selling season of 2017 the gap between original price and the sale price has increased. This could be reflective of people wanting to cash in on the price increases in Prince Edward County and then realizing that the market has slowed somewhat. 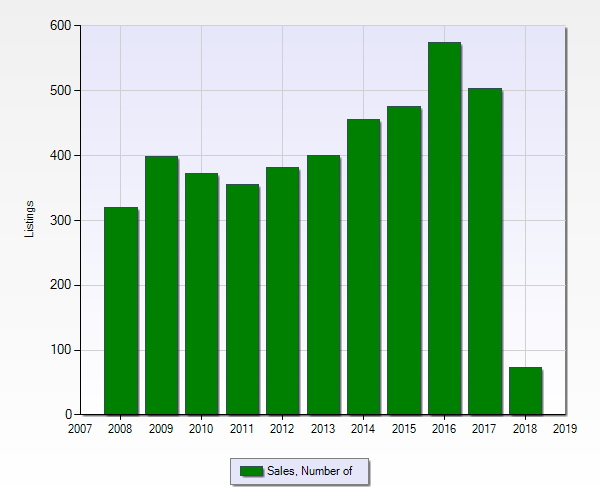 This chart shows that after hitting an all time high in 2016 the number of sales in Prince Edward County has begun to slow down. What happens in 2018 remains to be seen. This data covers 4306 listings. This chart shows that the median sale price continues to climb, reflecting the demand for Property in the County as well as the shortage of listings. In 10 years the median price in Prince Edward County has risen from 152,500 in January 2008 to 410,266, an increase of 169 %. Overall the amount of listings is equivalent with 2017. 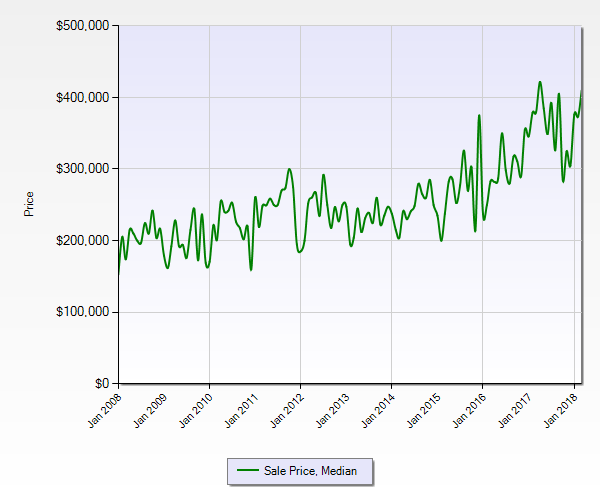 The average sales price continues to rise but at a slower pace. The over 30 % decrease in sales shows a slowing market and could be reflective of updated mortgage regulations and buyers expanding their property searches to other areas. Properties are also currently taking longer to sell, another sign of a cooling market.